Service-oriented architecture (SOA) have been adopted by organizations in a wide variety of industries, however, best practices have still yet to mature. This article, which is part of a larger study on SOA, develops a normative decision model introducing key factors that influence the timing and approach of adopting a SOA. The decision model is based on the results of multiple case studies of organizations that had either employed or were considering implementing a service-oriented architecture project. The results indicate that there are four main areas an information technology (IT) manager needs to assess to determine when and how to move towards a SOA: the maturity of relevant standards, the technology gap, the organizational gap, and the nature of the benefits expected from a SOA. Analyzing these results suggest that differences in the business environment need to be considered in the decision of when and how an IT manager should pursue the move to a service-oriented architecture. 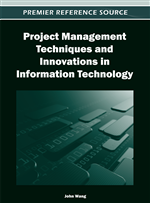 The technology of interest in this research is a service-oriented IT architecture. The researchers chose this particular technology to develop a decision-making framework for because many experts had anticipated SOA to be widespread in industry by today, but this has yet to occur. For example, the widely cited Gartner 2008 hype cycle for emerging technologies (Fenn et al., 2008) expected Web services to be viewed as fairly mature and reaching the “plateau of productivity,” with SOA reaching the “slope of enlightenment”. Despite these predictions and the wide attention that SOA has received in the trade press, best practices for SOA are not commonplace (Gootzit et al., 2008). It is true that SOA adoption overall is increasing, but it is occurring at a pace much slower than initially anticipated (Sholler, 2008). Part of this hesitance might be attributed to the lack of formal best practices identified in the academic literature for IT managers to follow.